Back in the office, reviewing my notes from my first visit to the international logistics congress in Berlin, I am impressed by the amount of inspirational keynotes, new ideas and innovations for the logistics and supply chain sector I learned about at the event. At an early stage of the congress, it already became clear that the slogan “Driving Change” covers the digital change in logistics and supply chain. The reason is simple: every move that logisticians make to create and drive future-oriented and sustainable processes deals with the use of new IT-services, the development of digital processes or digital innovations – accompanied by new business models and a different way of thinking. Prof. Dr. Klinkner, chairman of the German Logistics Association, mentioned in his final speech, that “digitalization has left its buzzword-level”. 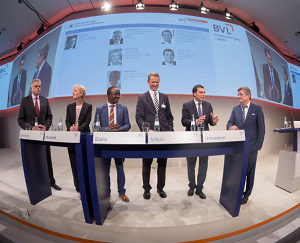 Almost every speaker shared this line of thinking, as well as the fact that the German industry is well on its way to being able to keep pace with the digital requirements of our fast-changing world. But Prof. Klinkner also emphasized that there is still untapped potential, and that we need to be braver, more creative and start designing new processes to drive the change proactively. Michael Ziesemer, president of the German Electrical and Electronic Manufacturers’ Association, stated in one of the opening speeches concerning “Industry 4.0” that we need more than just automation in our operational production processes, because this is what we´re already good at. We need digitalization across borders: procedural borders, company borders and geographical borders for the purpose of connecting entire supply chains. Moreover, he said that the industry should follow the example of U.S. American companies, where the slogan „What can be digitized, will be digitized” is already being practiced. Representatively he named the examples of AirBnB and Uber. Get rid of the idea that every product needs to be 120%. Start prototyping, test it in live operations, observe, learn from your market and improve your product. Be open-minded for new ways of thinking. Almost every keynote I attended focused on the power, ideas and new way of thinking that young logistics professionals bring to operations, which help drive the fast change. Karl-Theodor zu Guttenberg, ex-politician in Germany and chairman of the consultancy Spitzberg Partners, referred to global players like Jeff Bezos and Mark Zuckerberg as examples of digital thinkers. He encouraged German leaders to start thinking digital in order to drive the change required to move to the forefront of the digital and industrial revolution. Even more emotion spilled over from Michael Ziesemer and his audience when he questioned the country’s ability to improve digital skills and processes in today´s analog education system, a comment that drew a big applause. Highlighting the support of young people in the supply chain sector on the one hand, Ziesemer, on the other hand, said that we can´t only place reliance upon the next generation, the so called “digital natives”. We need everybody involved in order to drive the digital change in logistics. 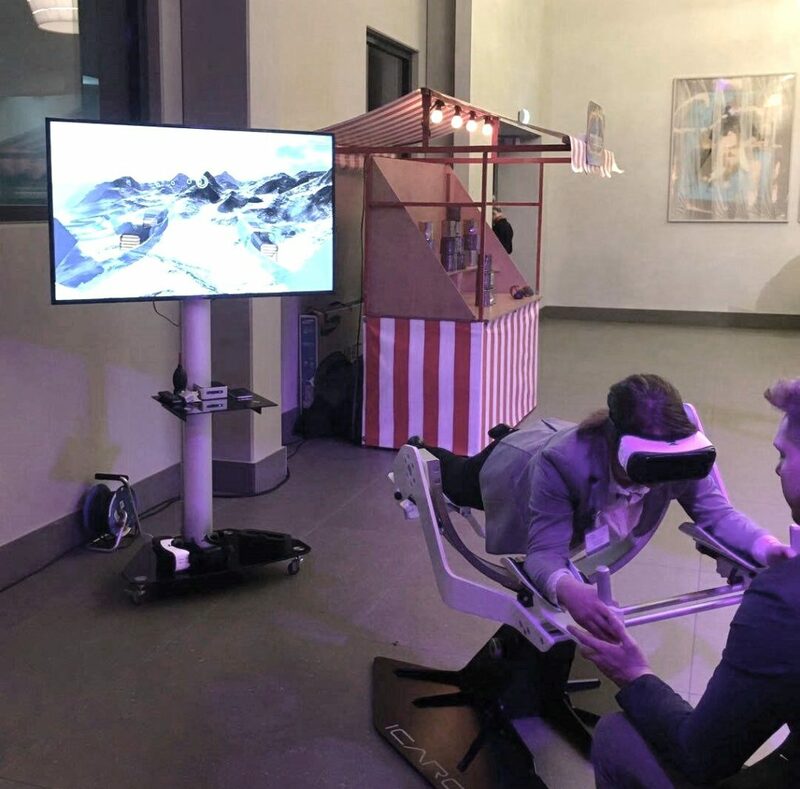 One of my personal highlights at the congress was my first virtual reality flight and a virtual shopping trip. Lying horizontal in a specific device and wearing VR-glasses, I flew through several floating rings over the top of a mountain (with an amazing view). Even though the visualization was great, I was glad that it was only fiction when I suddenly crushed into the mountain. I felt a bit more confident walking through a virtual store at one of the booths in the congress exhibition hall. Great experience! It will be interesting to see what effect virtual reality will have on the supply chain in the coming years. Starting the second day of the congress with a site-visit at Lekkerland Germany, a convenience wholesaler, was another highlight for me. Lekkerland supplies selling equipment, tobacco goods, food-to-go, snacks, beverages and electronic value goods throughout Europe. They employ almost 3.000 people and help their customers (which are mainly gas stations, system catering and supermarkets) optimize their purchasing as well as product presentation in the stores. 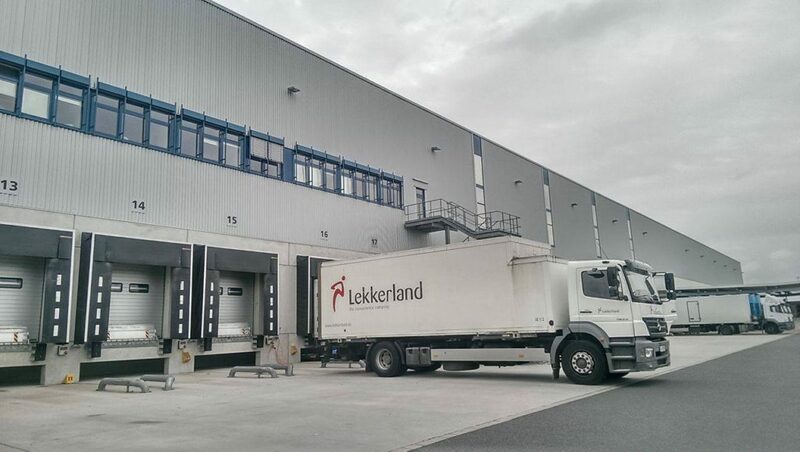 In the opening presentation, Rico Patzelt, Director Logistics North at Lekkerland Germany, highlighted that the support of young logisticians is also a priority at Lekkerland. For this reason, their fresh-food department is led by 17 young professionals currently in training to become professional drivers and management assistants in logistics and warehousing. Commissioning at Lekkerland is done by pick-by-voice and the warehousing follows the chaotic storage system, a method also used by amazon. These facts strengthened my impression that Lekkerland is already driving the change in its specific sector and I truly enjoyed the chance to have a look behind the scenes. On the last conference day, I was presented new study results concerning the current status and chances of the digital transformation in the logistics sector. To get a wide range of opinions and statements, the Supply Chain Network interviewed 1,351 logistics and supply chain experts online from 17 countries worldwide, and had several intense face-to-face discussions. The questions involved the following range of subjects: Innovative technologies, changes in the supply chain, new requirements in expertise and new business models. To read the full study results (in German), click here. The 33rd international logistics and supply chain congress underlined that the sector is already moving, but cannot afford to stand still. Further digital change is required and can be achieved by dropping inflexible thinking, becoming proactive in the digitization shift and creating space for the valuable next generation.